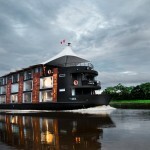 Gone are the days of taking a cruise for relaxation. 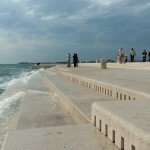 These days, the flashier and wackier the cruise, the better! Here’s a list of 20 of the wildest things you’ll find when you board some of the largest, most exciting ships on the planet. 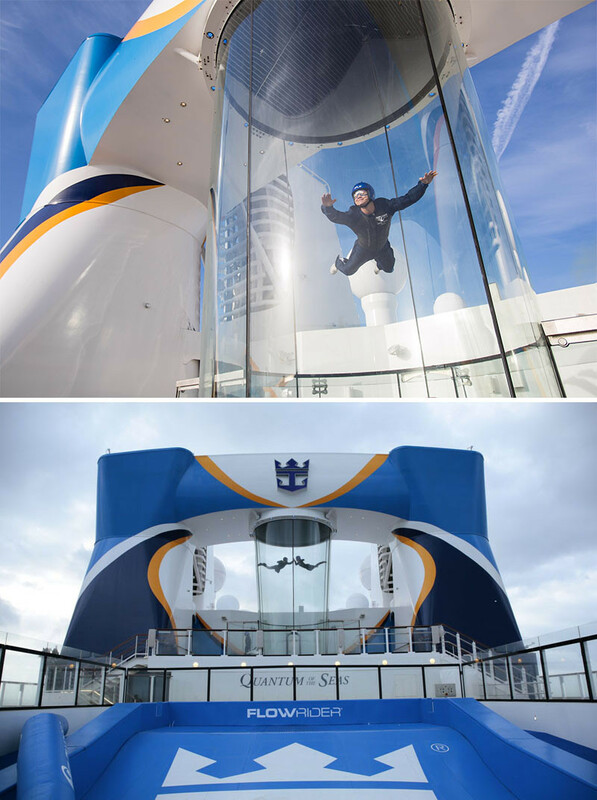 RipCord by iFly on Royal Caribbean’s Quantum of the Seas, lets you feel what it would be like to fly by blowing air at 100mph from underneath you. This capsule sends you 300ft above sea level to offer 360-degree views of the ocean. 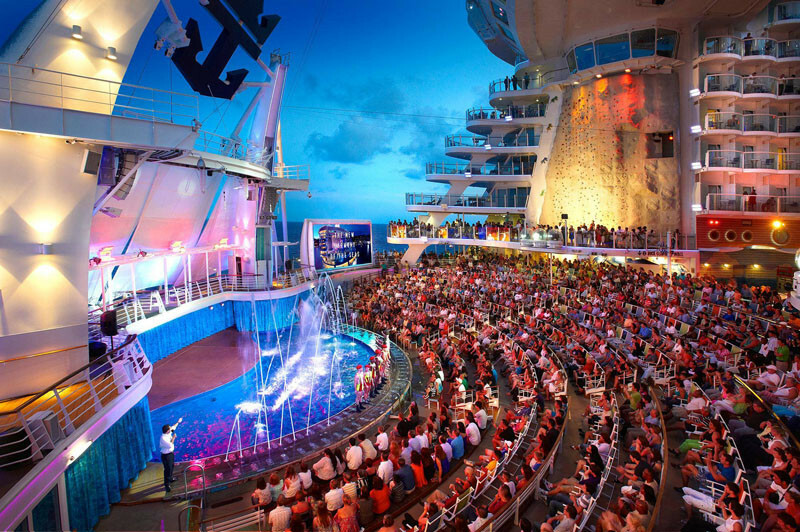 You can find it on Royal Caribbean’s Anthem Of The Seas. The multipurpose activity room, on Royal Caribbean’s Anthem Of The Seas, can be used as a bumper car arena, circus school, a roller skating rink, or a gym. 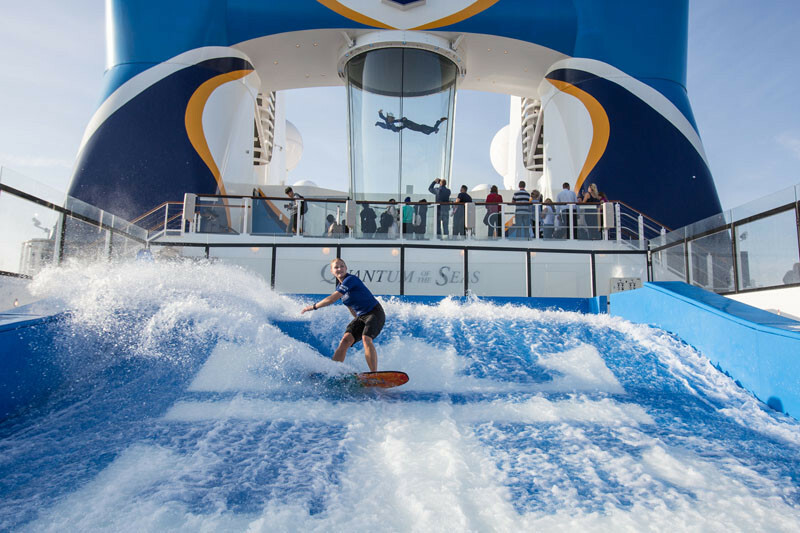 Catch a wave without leaving Royal Caribbean’s Anthem Of The Seas on this surf simulator. 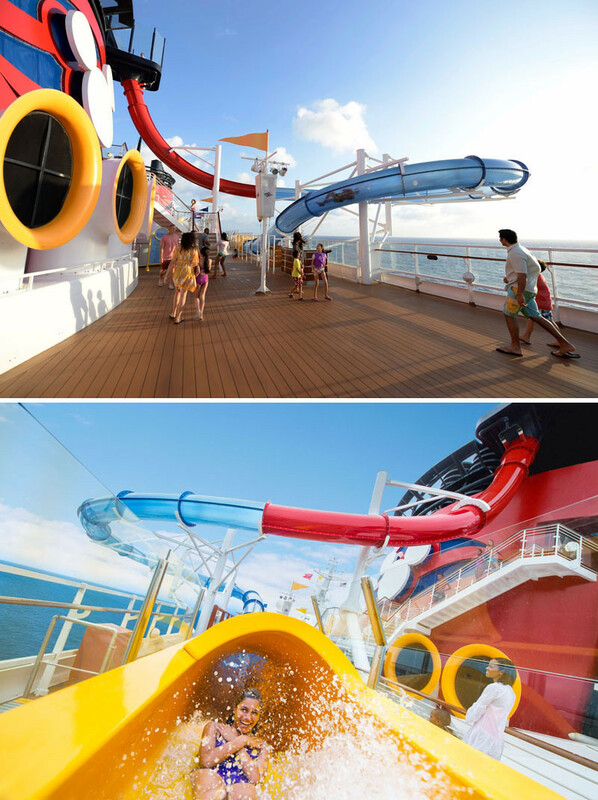 The AquaDunk aboard the Disney Magic cruise ship is a three-story high water slide that starts with the floor dropping out from underneath you and sends you racing down a 212-foot clear tube twisting and turning as it goes. 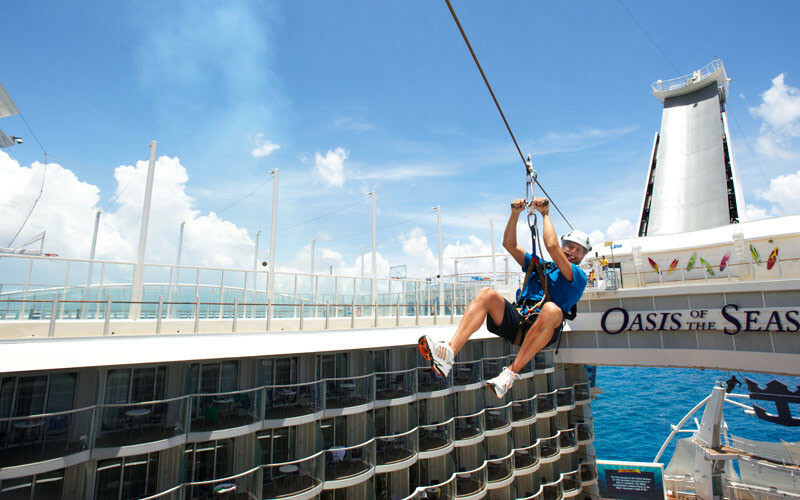 Take an adrenaline-filled zipline trip 82 feet across and 9 decks above the boardwalk on Royal Caribbean’s Oasis of the Seas. 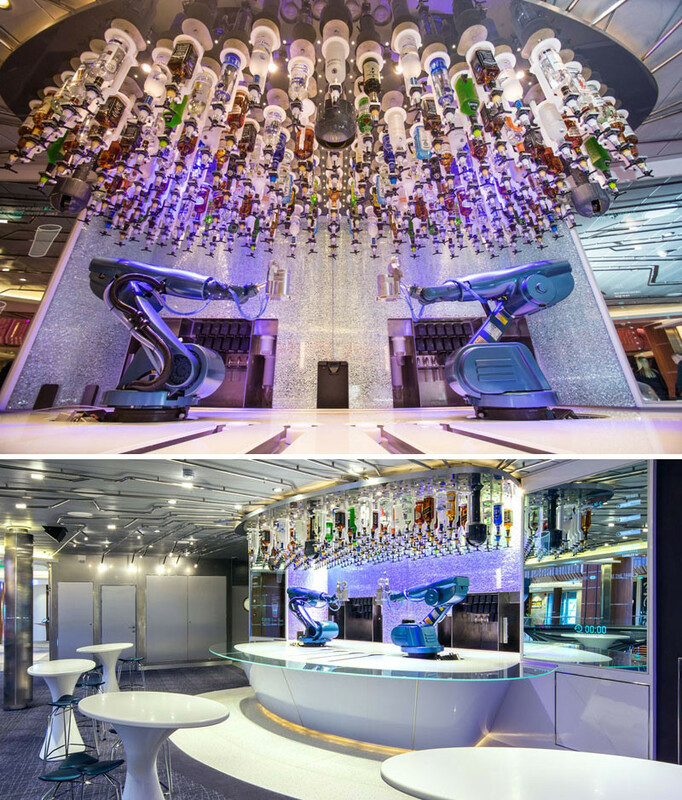 Get your cocktails mixed by a robot at the Bionic Bar on Quantum of the Seas by Royal Caribbean. Drink a beer that was brewed right on the ship. 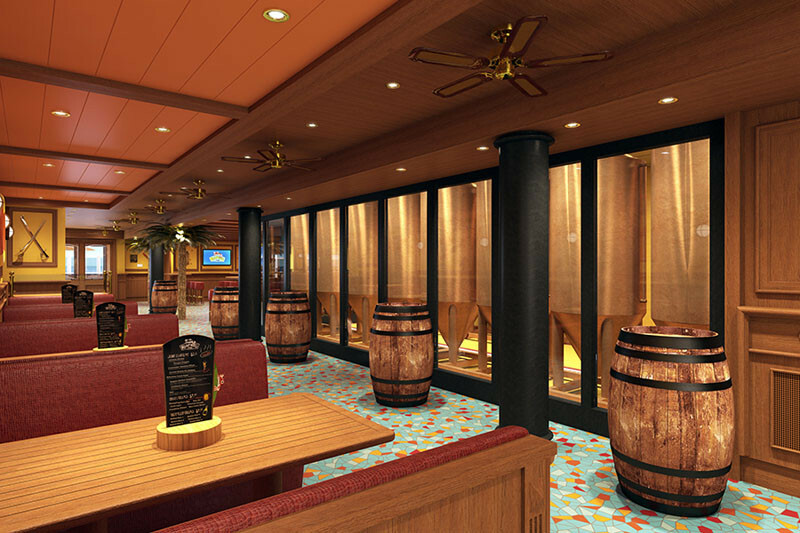 Carnival’s newest ship, Vista, has an onboard brewery where they make their very own beer. 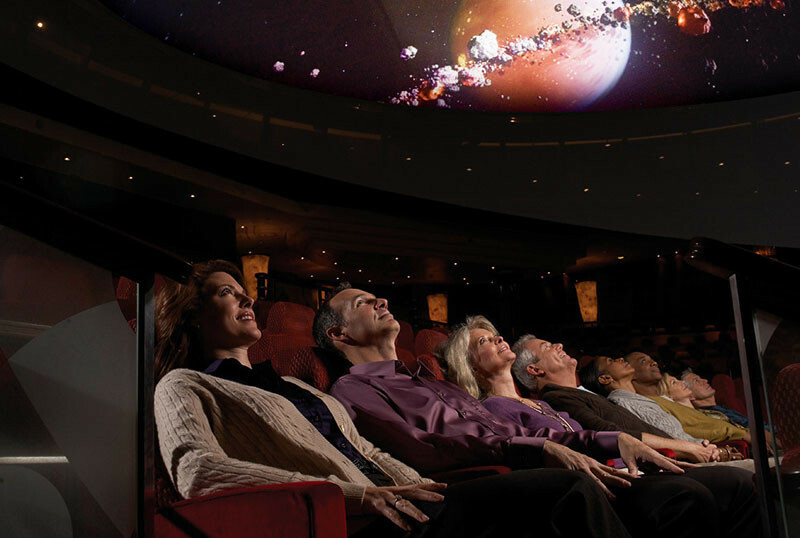 On Cunard’s Queen Mary 2 you can see the stars whenever you like in their full scale planetarium at sea. 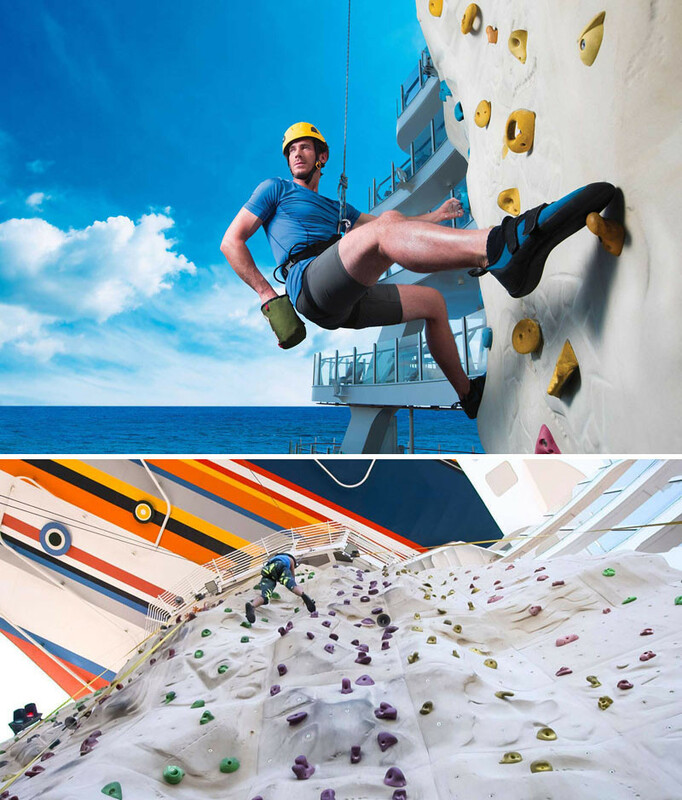 Go rock climbing in the middle of the ocean on the world’s largest cruise ship, Royal Caribbean’s Harmony of the Seas. 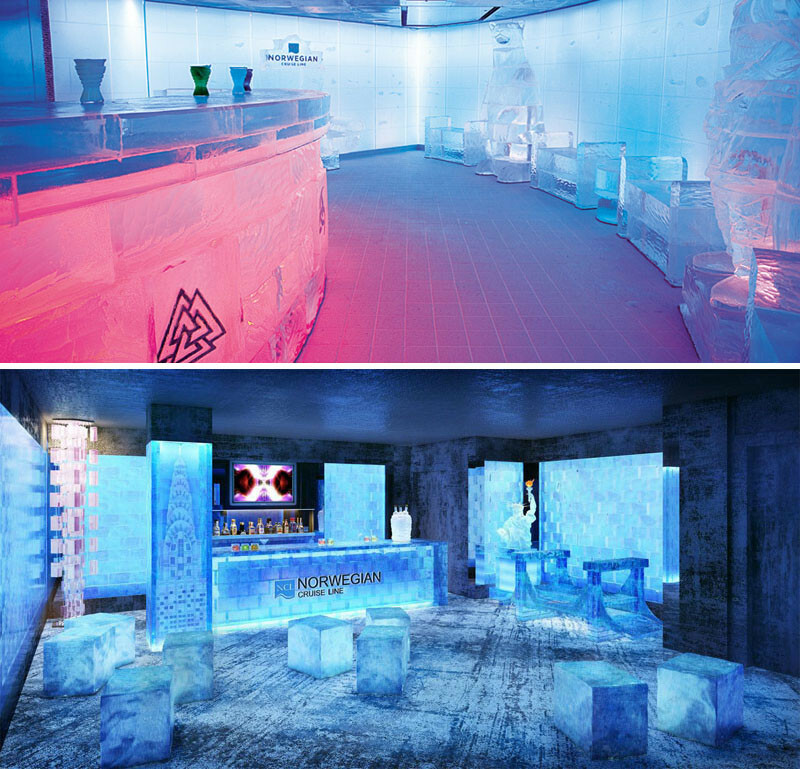 Chill out in the ice bar inspired by the original ice hotels in Scandinavia, aboard the Norwegian Epic cruise ship. Feel like a kid again at the Aqua Park on the Norwegian Getaway cruise ship. 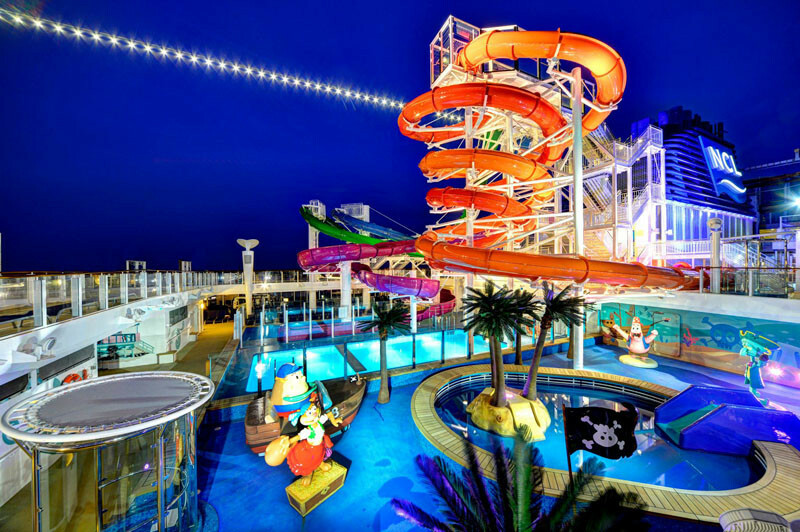 With 5 multi-story waterslides, including the fastest ones at sea and side-by-side twister slides, 2 swimming pools and 4 hot tubs there is no shortage of water fun on the ship. 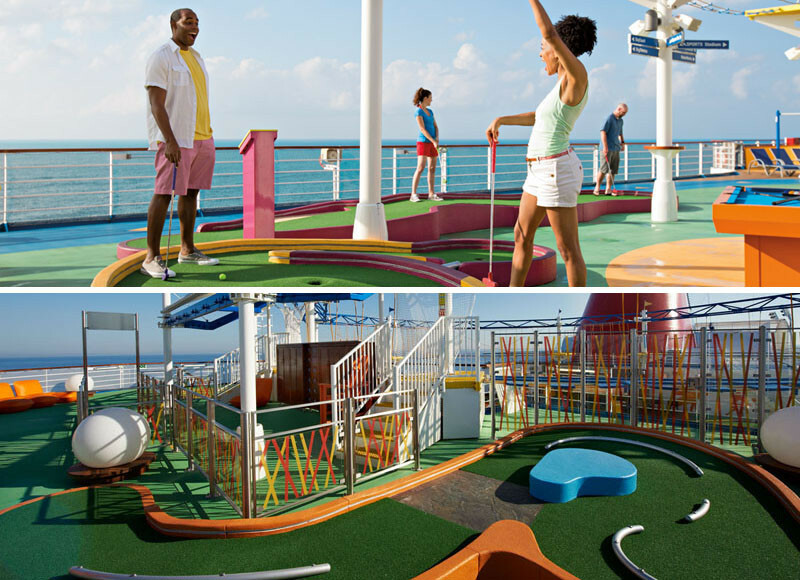 Every Carnival cruise ship has a mini golf course for lots of family fun (or for adults that want to feel like kids again). 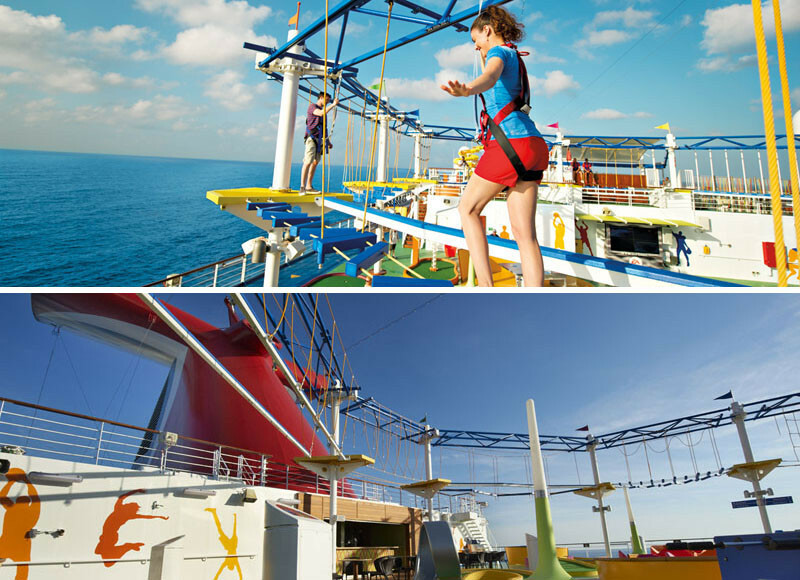 The SkyCourse onboard Carnival, is a ropes course in the sky! Strapped into a harness you can walk and climb safely while taking in the incredible views. 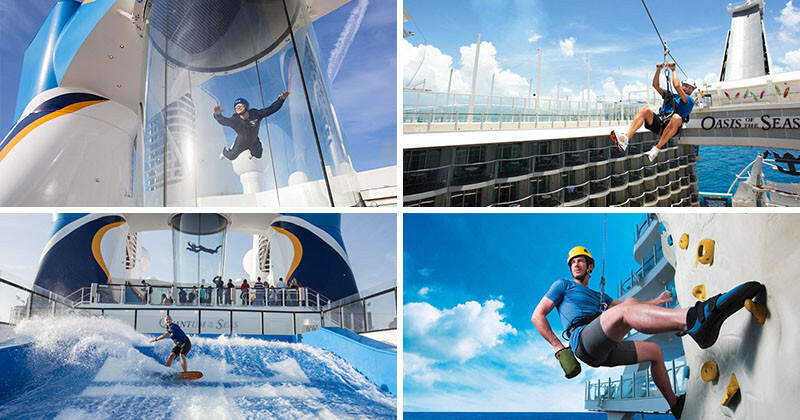 Hold your breath as you watch divers plummet 30 feet down into the deepest pool at sea on Oasis ships by Royal Caribbean. 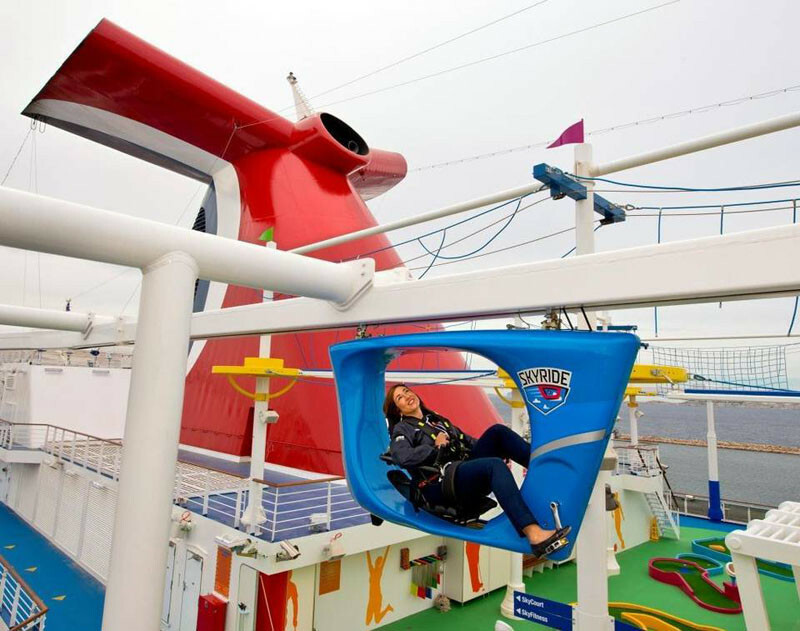 SkyRide is a suspended bike that you can ride around an 800 foot track above the sports deck on Carnival Vista, giving you unique views of the ship and the sea. 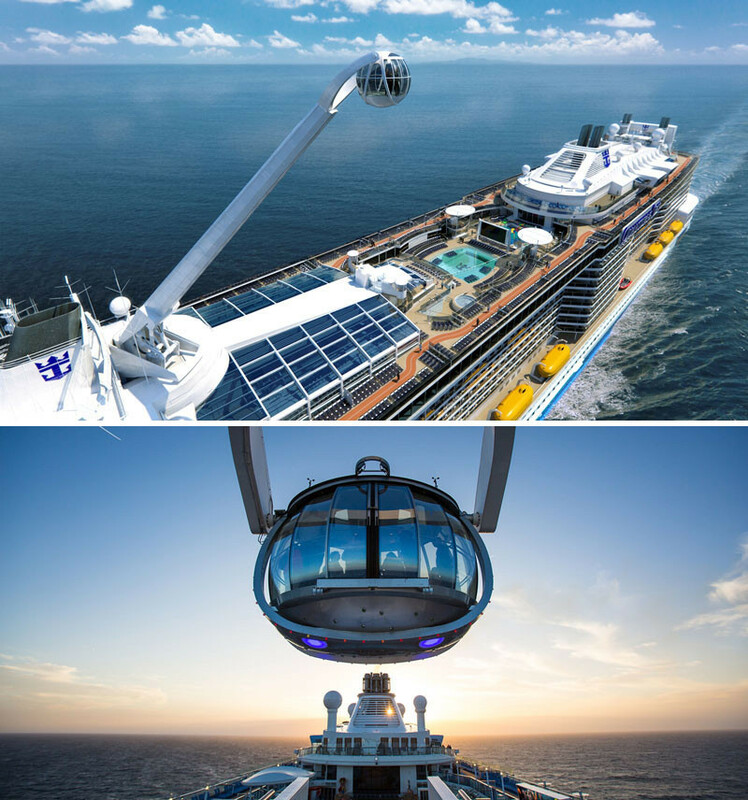 The Ultimate Abyss on the largest cruise ship in the world by Royal Caribbean, sends riders down 10 stories, making it the longest slide on the sea. 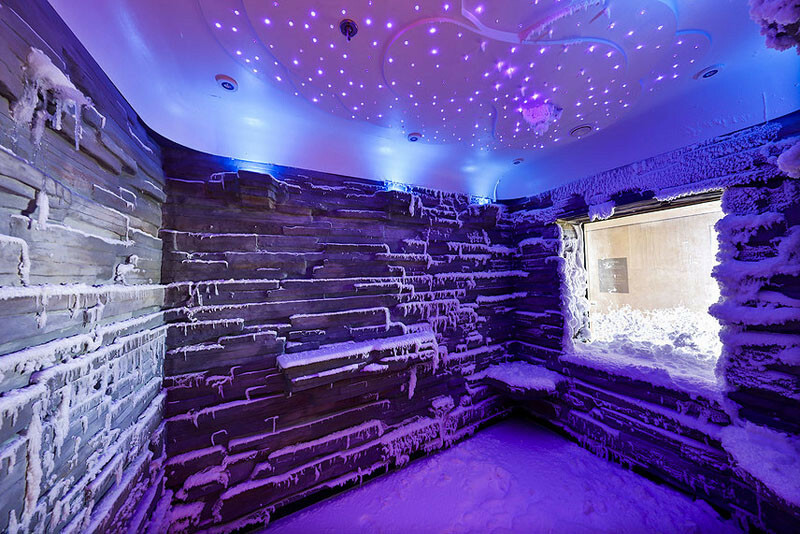 Inspired by the Northern European tradition of running from the sauna, through the snow, and back to warmth, the Snow Grotto on the Viking Star cruise ship was the first of its kind at sea. 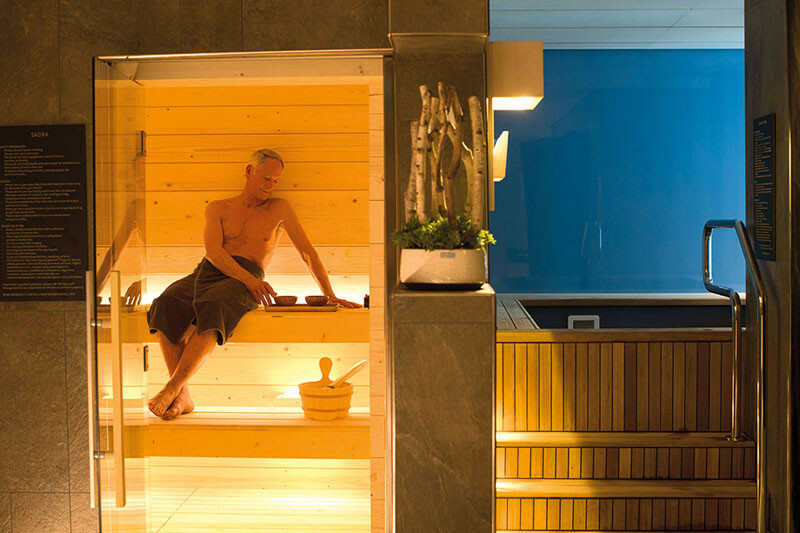 On the Viking Star cruise ship is a sauna which provides the warmth before and after the Snow Grotto. 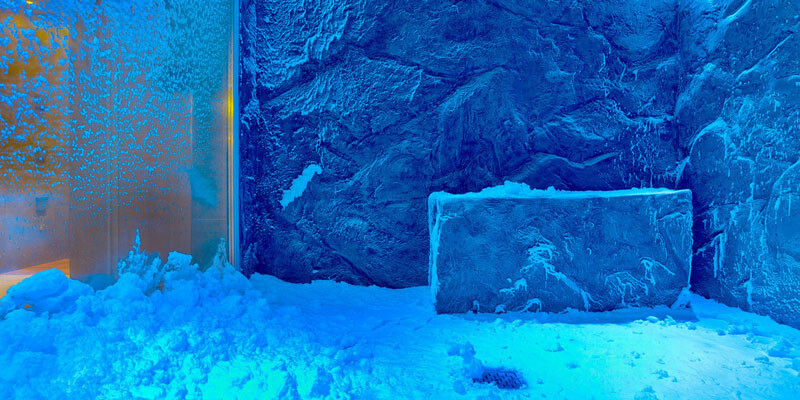 On the Norwegian Escape cruise, you’ll find a snow room, it’s an ice-cold arctic environment that stimulates blood circulation throughout the body.